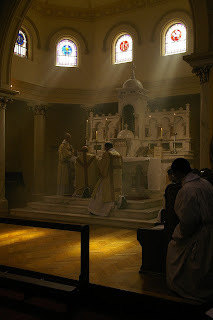 Creer en Mexico, the best Mexican blog on Traditional matters, reports on the Solemn Latin Mass celebrated yesterday in the majestic Cathedral of Mexico City (Altar of the Kings), by Father Jonathan Romanoski, FSSP. 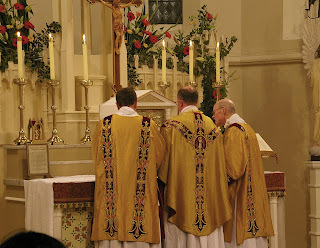 For the feast of the Epiphany (7 PM) , there will be a Solemn High Mass at Holy Trinity parish, in Bristow-Gainesville-Haymarket area of Virginia (8213 Linton Hall Rd, Bristow, VA 20136). Several local seminarians from the Priestly Fraternity of St. Peter, the Institute of Christ the King, and St. Charles Borromeo, as well as diocesan priests, will be serving or singing at the Mass. The parish priests are Fr. Peffley and Fr. 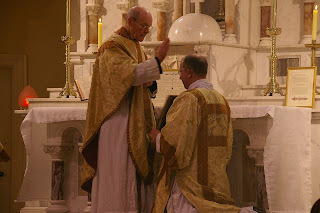 Wooton, to whom we are greatly indebted for affording us this extraordinary opportunity to offer this very solemn form of the Traditional Mass. All are invited and encouraged to witness this magnificent liturgical form of the immemorial Roman Rite. 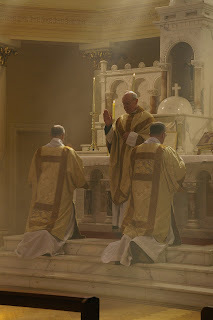 When shall we see Pope Benedict celebrating the Latin Mass according to the extraordinary Roman Rite, that of Saint Pius V? I personally viewed the 'motu proprio' as an act of liberality, of openness, not of closemindedness. [G.Marini:] "I do not know. Many faithful have availed themselves of this possibility. The Pope will decide, if he considers it appropriate." [...] The Pope, a year ago, celebrated Mass in the Sistine Chapel with his back turned to the people. Who it was who proposed it to him? [G. Marini:] "It was I who proposed it to him. The Sistine Chapel is a treasure chest. It seemed a strained effort to alter its beauty b y building an artificial, made-up stage. 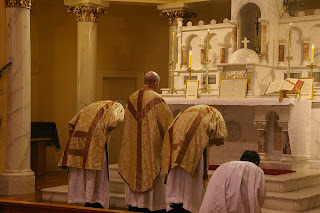 In the ordinary rite, this celebration 'with the back turned to the people' is a foreseen position. 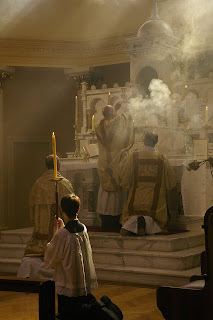 Yet I underline: the back is not turned to the faithful, but the celebrant and the faithful are turned towards the only point that counts, which is the Crucifix." 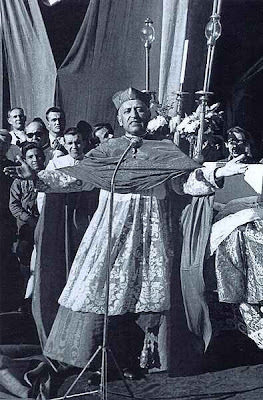 On December 26, 1948, Cardinal Mindszenty, Archbishop of Ersztergom and Primate of Hungary, was arrested by the Communist government of that nation. It was the beginning of a slow via crucis which would last until his last days. Pope Pius XII, who had named him Archbishop and created him Cardinal right after the war, condemned the action a few days later through his Letter Acerrimo Moerore ("To the Bishops of Hungary", January 2, 1949 - in Italian). For a contemporary account of the Mindszenty affair: Time magazine archives. 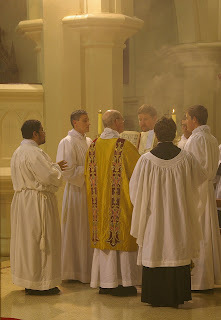 The Mass of Christmas Dawn for the Melbourne Latin Mass Community was celebrated in the School Chapel at Burke Hall, Xavier College, Kew. 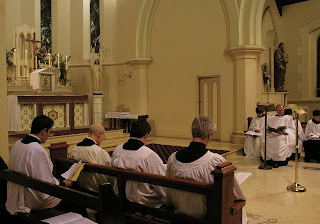 A Low Mass is celebrated every Sunday morning at Kew; on Greater Days, however, a Solemn Mass is celebrated. 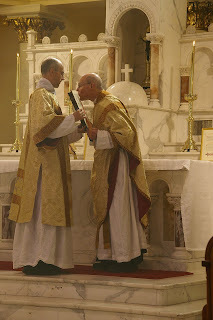 Fr John McDaniels celebrated the Dawn Mass, assisted by Fr Glen Tattersall. 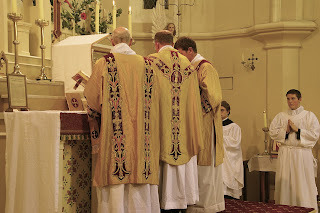 It is a wonderful blessing to have available a Solemn Mass for all three Christmas Masses and great credit must be given to the small mixed choir, directed by Hugh Henry, which rendered beautifully all the Gregorian chants of the Mass, with occasional polyphony; and an indefatigable team of servers who assisted in the sanctuary: a splendid effort. 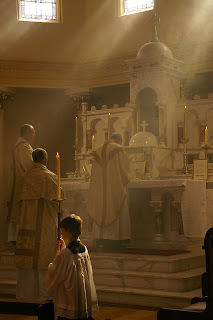 Below are some photographs taken at the Mass. 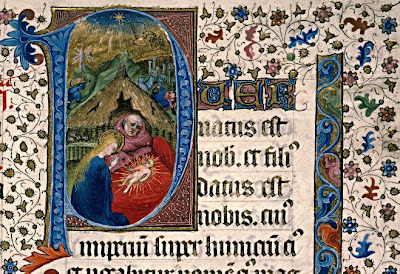 All the images in these posts of the Christmas Liturgies may be clicked on for an enlarged view. 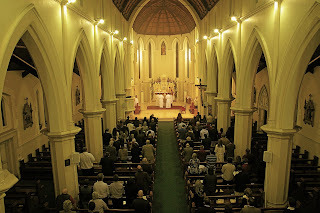 A large congregation of the Faithful attended Midnight Mass in the Extraordinary Form on a mild summer's evening in Caulfield (Archdiocese of Melbourne). 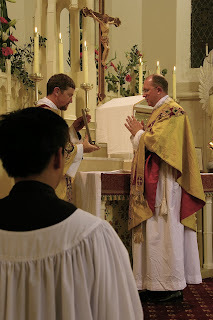 The Solemn Mass was celebrated by Father Glen Tattersall, assisted by Father John McDaniels, priests of the Archdiocese of Melbourne whose apostolate is solely devoted to ministering to the Faithful in the Extraordinary Form of the Roman Rite. The ceremonies of the Mass and the singing of the choir were carried out, as usual with the greatest beauty and dignity. 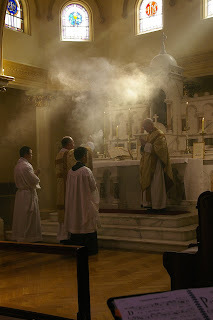 Below are some photographs from the Mass. 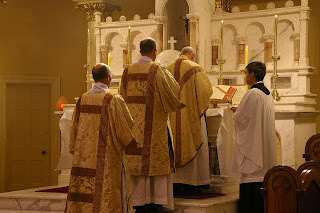 Matins of Christmas was solemnly celebrated at Saint Aloysius' Church, Caulfield (Archdiocese of Melbourne) before Midnight Mass. The following are some photographs from the occasion. 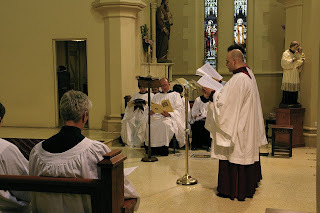 The Latin Mass community at Caulfield, under the patronage of the Archbishop of Melbourne, celebrated the First Holy Communion of a number of parishioners during a Solemn Mass on Gaudete Sunday. 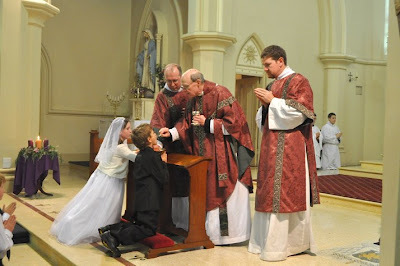 Two First Communicants are shewn receiving the Sacrament from Fr John McDaniels, celebrant of the Mass. 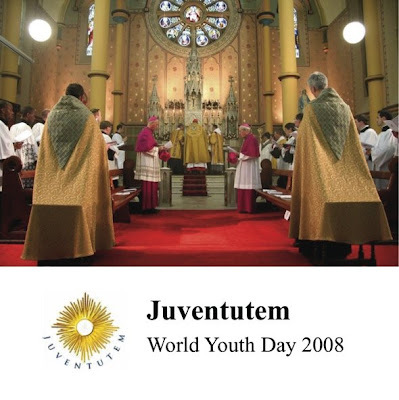 A 2-CD set of music from the Juventutem liturgies in Sydney is now available in Australia from the Central Catholic Bookshop in Melbourne (telephone in Australia: 03 9639 0844). Online ordering may be had here in addition to a partial track listing. These discs are selections from three Pontifical Masses and Solemn Vespers celebrated by HE Cardinal Pell. This professionally-recorded selection of chants would make an excellent gift for both family and friends. Proceeds of sales go to help support youth groups attached to the Extraordinary Form in Australia. 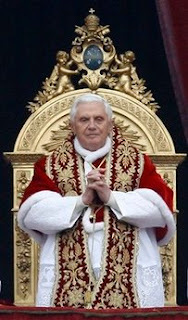 The Latin Patriarch of Jerusalem, Fouad Twal, confirmed today that Pope Benedict XVI will visit the Holy Land in 2009 (as it had been confirmed by the Holy See), specifying that the journey will take place in the month of May. First Italian report by news agency ASCA. 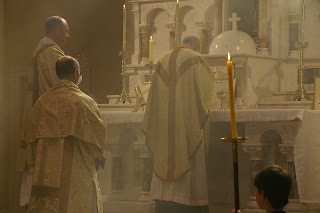 It really has never been the purpose of this blog to post all kinds of Catholic news - but only those items that are of interest to Catholics who are friendly to Tradition and that are underreported or misrepresented elsewhere. 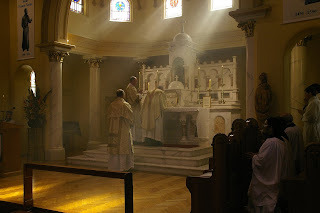 And there is not much that can be done when the usual sources of news for Catholics friendly to Tradition are silent, or when news dispatches coming from the Vatican itself are nearly irrelevant. 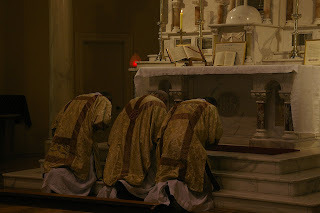 For instance, the fact that the Pope intends to celebrate the New Mass ad orientem once again is not newsworthy now as it was when he first did it (and when it might have seemed as a permanent or frequent new orientation). Yesterday's Christmas address to the Curia, which was far from being an earth-shattering road map, is not nearly as newsworthy as his 2005 address seemed to be at the time. On the other hand, Pope Benedict's Apostolic Letter on Bl. Duns Scotus was given greater relevance here than mostly elsewhere because it seems to us to indicate the Pope's willingness to reinterpret Scotus, praising his work only insofar as it is compatible with the doctrine of the Church and under the authority the Successors of Peter. The battle for the reinterpretation of Scotus is a deep centuries-old philosophical struggle which had been already given profound consideration by the Pope in his Regensburg Address - and he is fighting on the side of Tradition, as is to be expected from Peter. It does not seem to us that we have to justify why certain items are not posted - they are not posted when they do not seem important enough (which does not mean that every single news item eventually posted is relevant). As always, we welcome suggestions and links, and news items in all languages, and official documents - they will be posted if they are considered truly newsworthy (just send them to newcatholic AT gmail DOT com). Tomorrow, December 24, National Broadcasting Network-4, the official television channel of the Philippine national government, will broadcast a Traditional Missa Cantata from St. Jerome Emiliani Parish in the Diocese of Paranaque, Metro Manila. The broadcast will begin at 10:30 PM (2:30 PM GMT) with carols and short videos of priests explaining what the Traditional Latin Mass is. 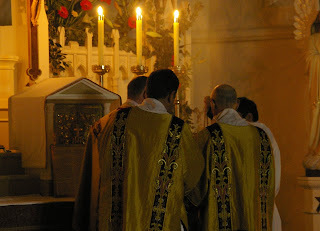 The Mass itself will start at 11:00 P.M. (3:00 PM GMT). Fr. Grato Germanetto, an Italian Somascan priest, will offer this Mass. The significance of this event lies in the fact that the government's own television channel has chosen to televise this, and not the usual charismatic Mass. Moreover, this channel will be watched nationwide and will be available to all, not just to cable TV subscribers. It is our hope that this televised Mass will alert Filipino Catholics -- who number some 72+ million -- to the fact that the Traditional Latin Mass is alive and well, thus fueling a greater demand for its celebration in parishes nationwide. Last December 13, the memorial of St. Lucy, virgin and martyr, Msgr. 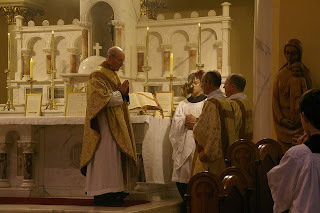 Angel Hobayan DD, the Bishop Emeritus of the Diocese of Catarman, offered Mass in Latin and ad orientem according to the Ordinary Form of the Roman Rite. The site of the Pontifical Mass was at the San Juan Pinaglabanan church in San Juan, Metro Manila (Archdiocese of Manila). The occasion was the fist-ever national Catholic Apologetics Convention in the Philippines, and the graduation of the students who had attended a comprehensive Apologetics Seminar over 13 Saturdays. Organizing all these was the Defensores Fidei Foundation (DFF). Concelebrating with Msgr. Hobayan was DFF Associate, Fr. Abraham Arganiosa, who offers the Sunday EF Mass in Sorsogon province in the Philippines. Master of Ceremonies was Fr. 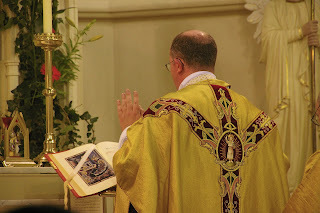 Carlos Estrada of Opus Dei; an Opus Dei center also graciously lent its beautiful and massive Latin altar missal (Missale Romanum 2002) for the occasion. The reading, Gospel and General Intercessions alone were said in the vernacular. 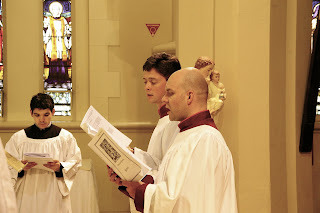 A tiny but youthful schola sang the Propers of the Mass from the 1974 Graduale Romanum. I am certain that not a few of our readers will question the number of candles and the lack of an altar crucifix. The church in question had a set of four tall gold-painted candlesticks, but two of these were found to be damaged, and so were not used. In addition to these two candlesticks, there were also two lampposts (each with a candle inside) flanking the altar, thus adding up to four candles – not ideal, but sufficient for the weekday Pontifical Mass. The church had not used an altar crucifix for a long time, and available crucifixes were too small in comparison to the available candlesticks. At any rate, there was a large crucifix on the apse wall overlooking the altar (see the next photo) and this was judged to be enough to satisfy the rubrics. There was also a shortage of servers (e.g. no dedicated mitre and crozier bearers), but this did not deter Defensores from pushing ahead with the Mass. Msgr. 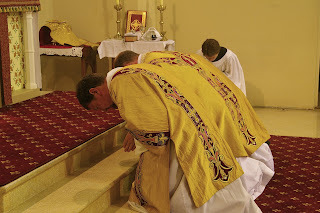 Hobayan showed great enthusiasm for the Mass and his willingness (even eagerness) to offer Mass in Latin and ad orientem made all the difference. The Latin Novus Ordo is exceedingly rare in the Philippines outside of the oratories of Opus Dei, and for most of the Catholic apologists and apologetics students who attended this Mass, this was their first time to attend a Mass in Latin (at any rate, since the mid-1960’s). 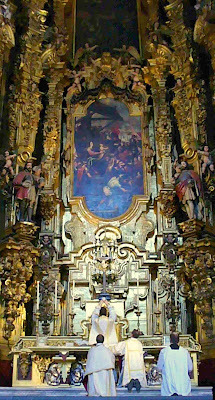 Some later confessed to feeling a “holy terror” at seeing the bishop facing the altar and intoning everything in Latin. In his homily, Msgr. Hobayan delivered a strong defense of the place of Latin in Catholic liturgical life. Third Anniversary of this web log. 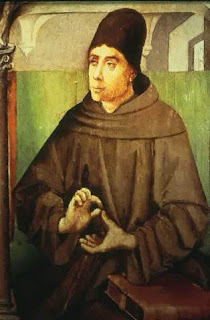 Rejoice, o City of Cologne, which one day received within your walls John Duns Scotus, a very intelligent and pious man, who, on November 8, 1308, passed from the present life to the heavenly fatherland; and you, with great admiration and veneration, preserve his remains. Confirmed in his Catholic faith, he made an effort to understand, explain, and defend the truth of faith in the light of human reason. Therefore, he made nothing other than demonstrating the knowledge of all truth, natural and supernatural, which come from the same and only Source. Along with Holy Scripture, divinely inspired, stands the authority of the Church. He follows the words of Saint Augustine: "I would not believe in the Gospel, if first I did not believe in the Church." In fact, our Doctor places in an elevated position, the supreme authority of the Successor of Peter. According to his words, "although the Pope cannot establish against natural and divine law (because his power is inferior to both), nevertheless, being the Successor of Peter, the Prince of the Apostles, he has the same authority that Peter had." Therefore, the Catholic Church, which has as its invisible Head Christ himself, who left his Vicars in the person of blessed Peter and of his Successors, guided by the Spirit of truth, is the authentic guardian of the revealed Deposit and of the rule of faith. The Church is the firm and stable criterion of the canonicity of Holy Scripture. She, in fact, "established what books should be considered authentic in the canon of the Bible". He elsewhere affirms that "the Scriptures have been explained with that same Spirit with which they were written, and it must thus be believed that the Catholic Church has presented them with that same Spirit with which the Faith was delivered to us, that is, instructed by the Spirit of truth." 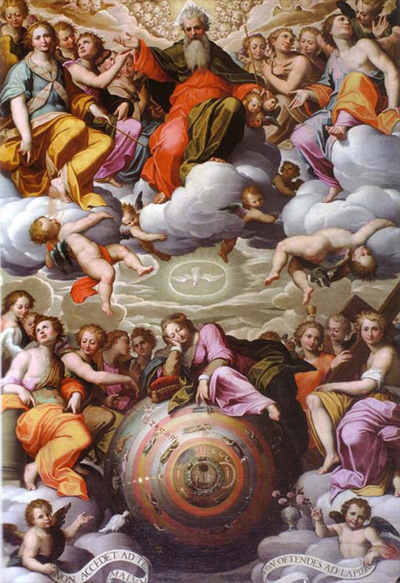 After having proved with various arguments, brought forth by theological reason, the very fact of the preservation of the Blessed Virgin Mary from original sin, he was nevertheless absolutely ready even to reject his understanding, it it were not in harmony with the authority of the Church, declaring: "If it does not disagree with the authority of the Church or with the authority of Scripture, it seems probable to attribute to Mary that which is most excellent". Apostolic Letter "Laetare Colonia urbs"
The Pontifical Commission "Ecclesia Dei" responded to a question sent by an Italian layman on whether the Requiem Mass for Commemoration of all the Faithful Departed could be celebrated on a Sunday (as Nov. 2 fell on a Sunday this year), also considering the circumstances that the choir and musicians which would perform Mozart's Requiem during the Mass would only be able to be present on Sunday. 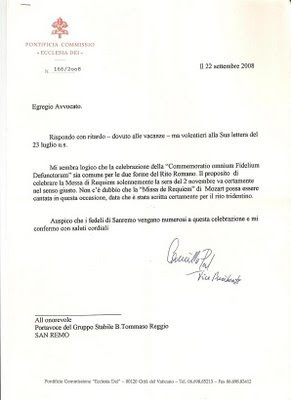 The letter, dated Sep. 22, 2008, and signed by Mons. Camille Perl, Vice-President of the Commission, said that the celebration of the Mass for All Souls was possible on a Sunday. 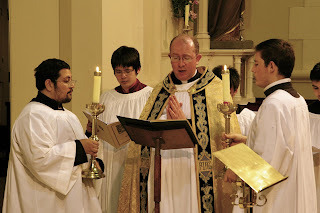 Perl affirmed that, "It seems logical to me that the celebration of the 'Commemoratio omnium Fidelium Defunctorum' be common for both forms of the Roman Rite". Orthodoxos —Then let us pass on to another prophetic testimony and let us hear the same prophet saying, "There shall come forth a rod out of the root of Jesse, and a flower shall rise up out of his root." Eranistes —I think this prophecy was delivered about Zerubbabel. Orthodoxos —If you hear what follows, you will not remain in your opinion. 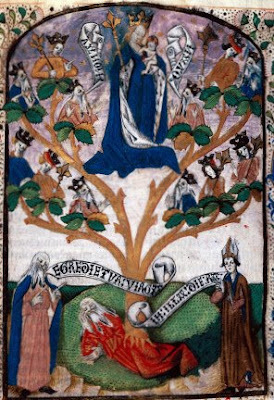 The Jews have never so understood this prediction, for the prophet goes on, "and the spirit of the Lord shall rest upon him: the spirit of wisdom, and of understanding, the spirit of counsel, and of fortitude, the spirit of knowledge, and of godliness" This would never be attributed by any one to a mere man, for even to the very holy the gifts of the Spirit are given by division, as the divine apostle witnesses when he says, "To one is given by the Spirit the word of wisdom, to another the word of knowledge by the same Spirit," and so on. The prophet describes Him who sprang from the root of Jesse as possessing all the powers of the spirit. Eranistes —To gainsay this were sheer folly. Orthodoxos —Now hear what follows. You will see some things that transcend human nature, he goes on. "He shall not judge according to the sight of the eyes, nor reprove according to the hearing of the ears, but he shall judge the poor with justice, and he shall strike the earth with the rod of his mouth, and with the breath of his lips he shall slay the wicked." Now of these predictions some are human and some divine. Justice, truth, equity, and rectitude in giving judgment exhibit virtue in human nature. Eranistes —We have so far clearly learned that the prophet predicts the coming of our Saviour Christ. Orthodoxos —The sequel will show you yet more plainly the truth of the interpretation. For he goes on, "The wolf shall dwell with the lamb," and so on, whereby he teaches at once the distinction of modes of life and the harmony of faith; and experience furnishes a proof of the prediction, for they that abound in wealth, they that live in poverty, servants and masters, rulers and ruled, soldiers and citizens and they that wield the sceptre of the world are received in one font, are all taught one doctrine, are all admitted to one mystic table, and each of the believers enjoys an equal share. Eranistes —It is thus shown that God is spoken of. Orthodoxos —Not only God but man. So at the very beginning of this prediction he says that a rod shall grow out of the root of Jesse. Then at the conclusion of the prediction he takes up once more the strain with which he began, for he says, "In that day the root of Jesse, who standeth for an ensign of the people, him the Gentiles shall beseech, and his sepulchre shall be glorious." Now Jesse was the father of David, and the promise with an oath was made to David. The prophet would not have spoken of the Lord Christ as a rod growing out of Jesse if he had only known Him as God. The prediction also foretold the change of the world, for "the earth" he says "is filled with the knowledge of the Lord, as the covering waters of the sea." Regarding the Oxford Training Conference, The Latin Mass Society of England and Wales has released the following note. "Blessed they that mourn," and "woe unto them that laugh" (Matt. v. 4; Luke vi. 25), says Christ. How then does Paul say, "Rejoice in the Lord always"? "Woe to them that laugh," said Christ, the laughter of this world which arises from the things which are present. He blessed also those that mourn, not simply for the loss of relatives, but those who are pricked at heart, who mourn their own faults, and take count of their own sins, or even those of others. This joy is not contrary to that grief, but from that grief it too is born. For he who grieves for his own faults, and confesses them, rejoices. Moreover, it is possible to grieve for our own sins, and yet to rejoice in Christ. Since then they were afflicted by their sufferings, "for to you it is given not only to believe in him, but also to suffer for him" (Phil. i. 29), therefore he says, "Rejoice in the Lord", for this can but mean: if you exhibit such a life that you may rejoice. ... If scourging and bonds, which seem to be the most grievous of all things, bring forth joy, what else will be able to produce grief in us? "Again I say, Rejoice." Well has he repeated. For since the nature of the things brought forth grief, he shows by repeating, that they should by all means rejoice. "And the peace of God, which surpasseth all understanding, keep your hearts and minds in Christ Jesus." What does this mean? "The peace of God" which He has wrought toward men, surpasses all understanding. For who could have expected, who could have hoped, that such good things would have come? They exceed all man's understanding, not his speech alone. For His enemies, for those who hated Him, for those who determined to turn themselves away, for these, he refused not to deliver up His Only Begotten Son, that He might make peace with us.